Hi everyone, it's Anja here, I hope you all had some great christmasdays and have been spoiled with great food, many presents and hopefully some craft supplies as well. Now for the project of today I am sorry about the amount of pictures. The year 2014 has only 2 more days left so I don't know about you, but I always like to look back to the last year. And I can tell you it has been a great year at least in my modest opinion. I still feel very honoured and happy to be joining Christine and her awesome team on her growing journey. It's always such excitement when the new stamps arrive in my mailbox and what about all the other supplies, wow. So to thank Christine for all she does I thought it would be nice to use all the released stampsets in one project and I also squeezed some chipboard and a stencil in it. I started by using the swirl stencil and distress inkt on a square card. Then I diecut a circle out of some patterned paper just a little smaller then the background card. After some serious measuring I cut out a window in the circle. On the circle I used the Hypnotize background stamp with white embossingpowder. In the middle I adhered a brad so you can turn the circle. 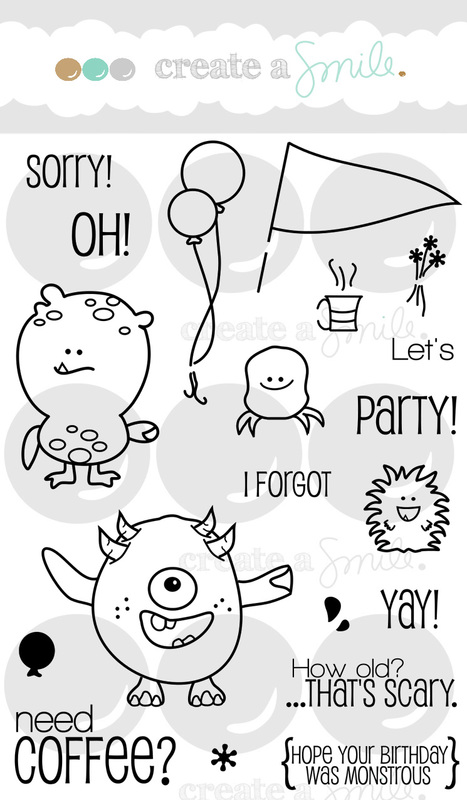 Stamped a monster from the Monster Party set, colored it and fussy cut it. Together with some balloons from the same set. I stamped the hearts image from the Balance set in the biggest balloon. Adhered the whole image to the card and to finish it of I placed some enamel dots in the same color as the brad in the middle. In the little window I stamped 2015 and ??????? ,who knows what the coming year will bring!!!!!!! !, using the 29 again stampset. Now came the fun part, I used from all the released stampsets one image and used it in the little window. Friends in the Woods and Comfy. Your view and Jungle fever. Penquin party, Whymsical wheels and fur alle Falle. Inkt; versamark watermark ink, memento tuxedo black, SU baked brown Sugar. Wink of stella glitterpen clear, glossy accents. Thank's for watching, and I wish you a very happy new year and hope to see you again in 2015. 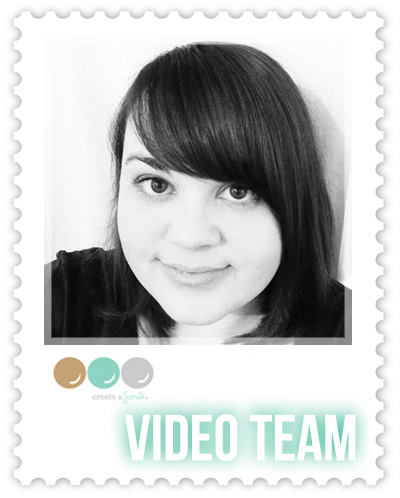 We're here to announce the 4th Video Team Member who will bring inspirational videos to you before this year is over. 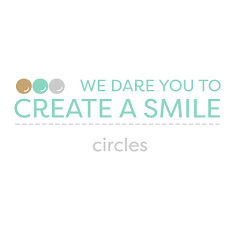 Remember: We will have 4 different designers who each make one video a month. This way you get to see different styles and different types of crafters. You can find the videos here on wednesdays. Give a warm welcome to: Nicole Picadura!!! Hi Nicole, nice to meet you! Take a seat, get comfy. May I offer you something? Coffee or cookies? Mmm cookies! I can't say no to cookies. Thanks! I started back in 2007, right after i got married. I just had moved to the states (im from South Korea, born and raised) and i had to wait about 4 months before getting a job or anything becuase i had to wait for my green card to be issued. So i thought about what i should do to make myself entertained, and i decided to work on my wedding album. I was brand new to paper crafting so i researched a lot, got some papers, stamps, and a die cut machine and went to work! And that's how i got started. I love making cards more than anything. It is easy and takes less time than working on a layout (in my opinion) and i love sending handmade cards to loved ones. I love the fact that you can touch someones heart with a simply made card. It varies time to time, depends on what i want to practice or want to experiment more. Sometimes i would use lots of ditress inks and focus on those or sometimes i would focus on coloring with Copics or colored pencils. Lately i have been doing lots of watercolor techniques. I love how some crafters can really stretch out their products and use them in ways that i cannot think of. Thinking outside of the box is something i struggle with at times and i admire those who are super creative with their materials. I don't think theire is any projects that makes me frown, but photos that have bad lighting or focus makes it hard for me to see the true awesomness of the project. I love good photos!! Less is more!! And do not worry about rules! Follow what you feel when creating a project. There is no need to be hard on yourself to be perfect because everyone and anyone who receives your card would love it! Let’s get to something personal. You live in Sacramento what’s your favorite spot there and why do you think people should visit this place? Oh i love to go to Raku Sushi on West Sacramento. They make fresh sushi when you order and they have lots of variety. And if you like lots of it this is a perfect place since it is all you can eat! What else should people know about you? Any secret addictions? Obsessions? Fun stuff? Thanks for the interview Nicole, I’m so glad and honored you joined our video-little team! Thanks for having me! I am excited to get started!! Now you got to know 4 kind ladies that are sure to blow your mind starting... next week - eek! How awesome is that?! I am so looking forward to watching their videos and learning from them! If you would like them to share something special.. like a special technique or supply, don't hesitate to let us know! As you know we will have a brand new video team who brings inspiration your way every wednesday beginning in January. So, who's the next amazing video girl? Give a warm welcome to: Stephanie Klauck !!! Stephanie has lots of DT expecrience and knows how to share ideas and inspiration. Her designs are juzst amazing. You need to check out her Youtube Channel and hit the subscribe button. Hi I’m Stephanie Klauck, a thirty-six year old from Ontario, Canada. Hi Stephanie, nice to meet you! Take a seat, get comfy. May I offer you something? Coffee or cookies? I started paper crafting in 2003 when I my new husband and I received scrapbooks from my mom as a wedding gift. I loved seeing all of the photos and memories all together in one book and knew it was something that I wanted to do! I scrapbooked for a lot of years and have a ton of albums to prove it lol! 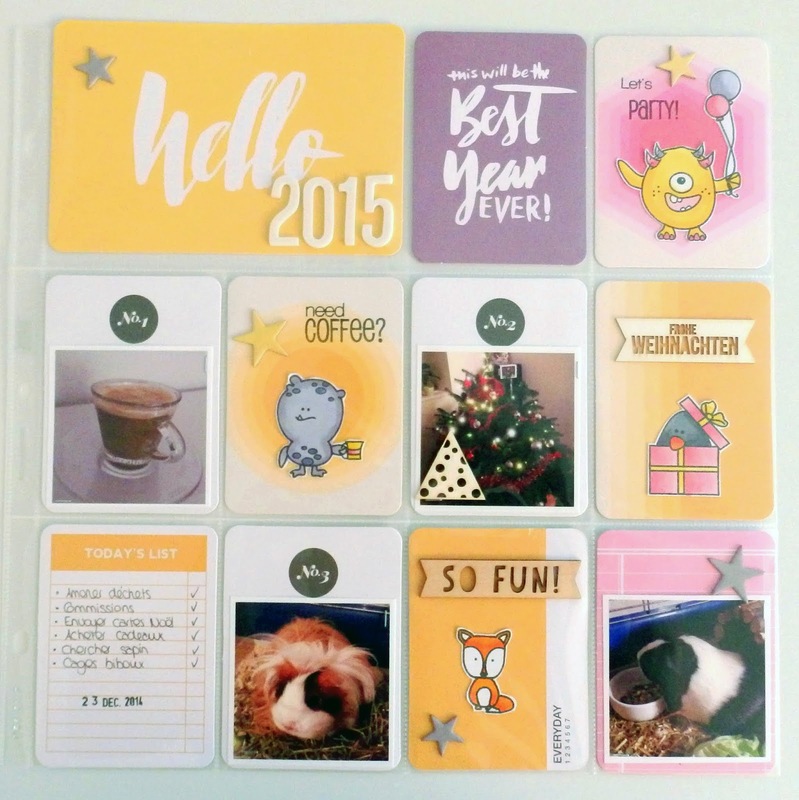 A couple of years ago, I moved away from scrapbooking and started cardmaking and that’s primarily what I do now. I love getting to play with new products and coming up with fun designs. Definitely anything that involves stamps and ink! If you have a few stamp sets and some ink to stamp with, the possibilities are endless. There are so many amazing techniques out there that look amazing on card designs. Copic colouring always amazes me! I’m getting better at it the more I practice, but some crafters colouring skills are out of this world! I love to see all the colour combinations and shading techniques that can be achieved with markers! As far as frowning... nothing that another crafter does makes me frown. I love seeing others expressing themselves through creativity no matter what style they prefer! Don’t stress! Everyone has their own style and way they do things and that is perfectly okay! Do what makes you happy and the end result will always be amazing! Let’s get to something personal. You live in Canada. what’s your favorite spot there and why do you think people should visit this place? Hmmm... I have many favourite spots, but if I had to pick one I’d probably say Niagara Falls. I think I take it for granted because I live so close (only a 20 minute drive) but it really is an amazing thing to see and experience. Aside from the actual falls, there are a lot of tourist attractions and beautiful gardens. It’s a great place to spend the day or the even better, the entire weekend! Out-Going. I love to laugh and have a good time and I am usually always in a good mood. Even when I’m in a bad mood, I’m in a good mood lol! I love to watch sports. My favourites are Nascar and NHL. Favourite driver and team: Jimmie Johnson and the Toronto Maple Leafs. I’m kind of obsessed with TV on DVD and have a lot! Some of my favs include: Dexter, Twin Peaks, Dawson’s Creek (true story), Vampire Diaries and Gilmore Girls. 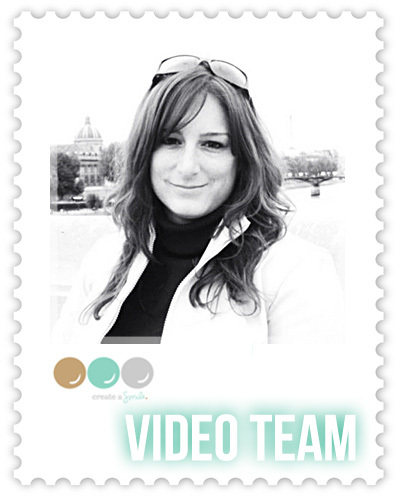 Thanks for the interview Stephanie, I’m so glad and honored you joined our video-little team! 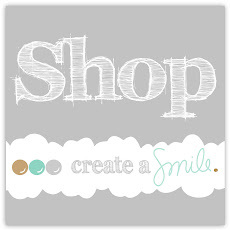 Don't you just love to see what other crafters are about, what they love and what inspires them? I just love the interviews and enjoy reading each of them. I am so looking forward to what these wonderful girls come up with! 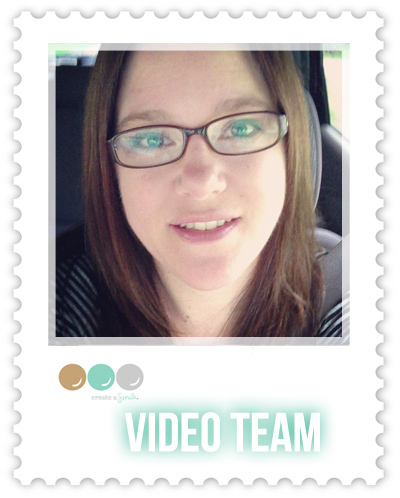 We will be introducing the fourth Video team member on Sunday. Make sure to check back then! Hello everyone on this wonderful Christmas day! I am really a fan of Christmas and the celebrations. Hope you enjoy the season! 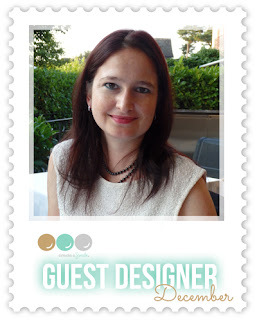 Our December Guest Designer Valérie Dürig has some inspiration for you that is different from most of our projects. Today I have a project that is not really related with Christmas... well a little bit. It is a Project Life page. 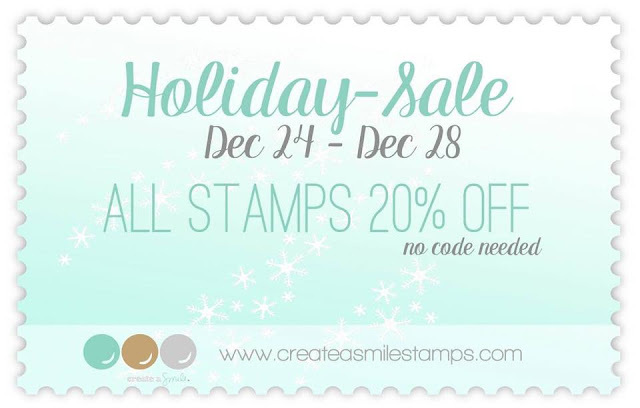 I love documenting our everyday life and I thought it would be fun to use the stamps from Create a Smile for my PL. I love how it turned out! 1. Select and print your photos for the PL page. 2. Choose the cards you want to use for your PL page. Here I used a yellow-purple-pink color combo. 3. 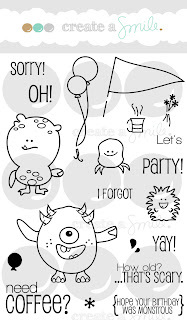 Stamp the images you want to add to your page and fussy cut them. 4. Color them with Copics. 5. Arrange the cards and adhere the images. Before I adhere everything, I take a picture of my page to see if I like it. It helps me to see if the page is well balanced. I kept my PL simple but you can add much more to each card. You can decorate every card as much as you want. Thank you Valérie for sharing your thought on Project Life! This is such a pretty Layout to begin 2015 with. I just love it! As we old you on monday one of our presents for you is the Video team that will start in January to share ideas, tips, tricks and techniques with you every week. We have 4 girls and introduced Francine Vuillème on monday. Soooo, who's the next amazing video girl? Give a warm welcome to: Michele Short from The Card Grotto!!! Michelle has lots of experience in making great video tutorials, she's a super sweet and kind person aaaand she had the most amazing British accents that I just love love love love. You eed to check out her Youtube Channel and hit the subscribe button. I first started paper crafting about nine years ago after reciving a handmade card form my cousin. I thought to myself that it was something that I could do. I went out and bought a few supplies and it kind of escalted from there really. I primarily make cards but I do like to make the odd box, bag and tag. I like making projects that will be sent to someone to brighten their day! It is very rare that I made a card that does not having stamping on it. I love die cutting too but there is usually always stamping involved somewhere. I am constantly amazed by other paper crafters talent. Some people can look at things in such a different way than others do, for example using a stamp set in a different way than maybe it was intended to be used. Nothing makes me frown, even if someone makes a card in a completely different style than my own, I can still admire the craftsmanship, the colours, the design elements – everything. Yes, focus on what you like. It is easy to get bogged down in thinking you must try something different or you must follow the latest trend. Do what makes you happy and it will show in your projects. Let’s get to something personal. You live in London - what’s your favorite spot there and why do you think people should visit this place? I live just on the outskirts of London. London is an amazing city, it is big and diverse. You can go shopping in the hussle and bussle of Oxford Street or you can visit the beautiful nature and wildlife in Richmond Park. Organised. I try as best as possible to be organised in my life. I find that being organised means less stress. I follow this in my private life (I love my Filofax!) and also in crafting. I organise my products to make crafting quicker, easier and more enjoyable. As well as papercrafting, I work as a nurse and I am also studing for my Masters Degree. I am a person who gets bored easily and loves to know as much as I can about everything! I adore chocolate (in all it‘s forms) and I am also a bit of a techy person; I love my gadgets! 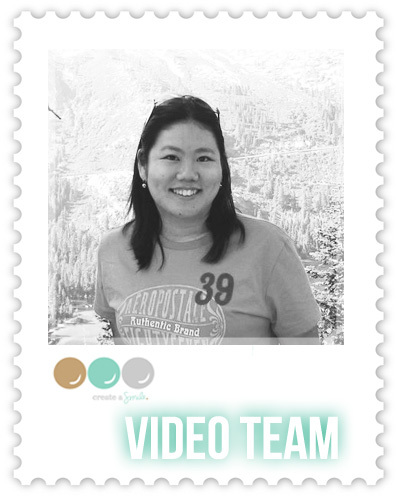 Thanks for the interview Michelle, I’m so glad and honored you joined our video-little team! I am so happy Michelle agreed to join, because I love her creations - and I know you will totally be inspired by her. By the way: She shared a super cool card oner her blog using Cool Buddies - hop ver and take a look! Christmas Cheer with a Digi! Embellishments and Gesso and Color! Announcing the new Design Team members! Release Countdown 1 - Time for a give-away!